Almost half of Americans (47%) agree that they are more likely to buy life insurance using simplified underwriting — which generally entails getting coverage faster and without a medical exam — as opposed to traditional underwriting approaches. That was revealed in the latest findings from LIMRA’s 2019 Insurance Barometer Study. Conducted since 2011, the study tracks the financial perceptions, attitudes, and behaviours of US consumers, with an emphasis on life insurance. Looking at the reasons behind choosing simplified underwriting, the latest report found that 63% of those who chose the faster option said they’re drawn to the speed and ease it provides. Other reasons cited included risk and price transparency (57%), unbiased and objective application process (57%), and removing the need to see a doctor or take a medical exam (56%). The study also found continuous growth in the market for combination products, such as those that include long-term care provisions. A little more than half (53%) of Americans are at least somewhat likely to purchase a combination life insurance product, with one in five (around 42 million Americans) saying they are “very” or “extremely” likely to buy a combination product. The top reason given for considering a combination life product is to decrease the chances of savings being depleted by long-term care expenses (36%). One in three consumers pointed to the flexibility and value of the product, which lets them simultaneously address multiple financial risks and save on expenses associated with purchasing separate policies. The report also examined consumers’ reported knowledge about different insurance products, their perceived need for such products, and their current ownership. Consumers were most likely to say they are knowledgeable about life insurance (46%), with knowledge levels dropping significantly for disability insurance (38%), long-term care insurance (35%), and annuities (35%). The study found a correlation between lower product knowledge, and the gap between perceived need and ownership of the product. In other words, a general lack of understanding appears to be resulting in insufficient coverage for many Americans, with an estimated four in 10 households lacking health insurance expected to have immediate trouble paying living expenses if the primary wage earner were to die. The survey also found that more than 42 million consumers are in the market for financial guidance. Among those using social media sites for finance-related topics, 62% said they look for products and services, and 61% said they search for reviews on financial professionals. Consumers, predominantly Gen Xers and millennials, said they use social media when assessing professionals, with 34% saying they would investigate financial professionals on social platforms. 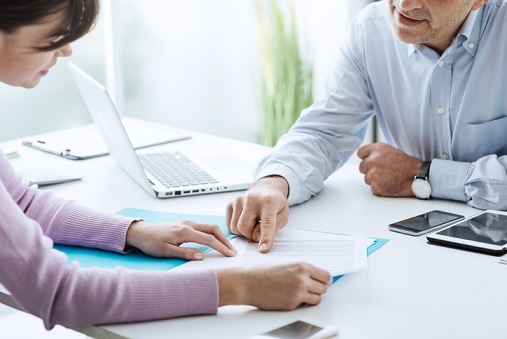 “Our findings underscore the importance of helping consumers understand the value of these insurance products and how they contribute to one's overall financial security,” said James Scanlon, senior research director, LIMRA Market Research.